Boomplay is the most popular music streaming platform in Africa and it has just closed a 20$ million financing round. Apple Music and Spotify enjoy a peaceful reign in Europe, US and Latin America as major music streaming services. However, there are some Gauls resisting these empires with other alternatives. Such is the case of China, dominated by Tencent Music (800 million users) and NetEase Cloud Music (600 million users). They are relevant because one of those services owns Boomplay, known as the African Spotify, which has recently raised 20 million dollars in a Series A funding. How has Boomplay managed to become Africa’s biggest streaming platform? It is a service founded by Transsnet, a joint venture between NetEase and Chinese phone maker Transsion, which dominates Africa’s phone market. Their smartphones are sold with Boomplay as a preinstalled app. Summed to its focus on African artists and public, this results in 44 million app downloads, 5.6 million daily users and 2 million new subscribers per month. Not to mention it hosts the most extensive online African music catalog in the world with 5 million tracks. 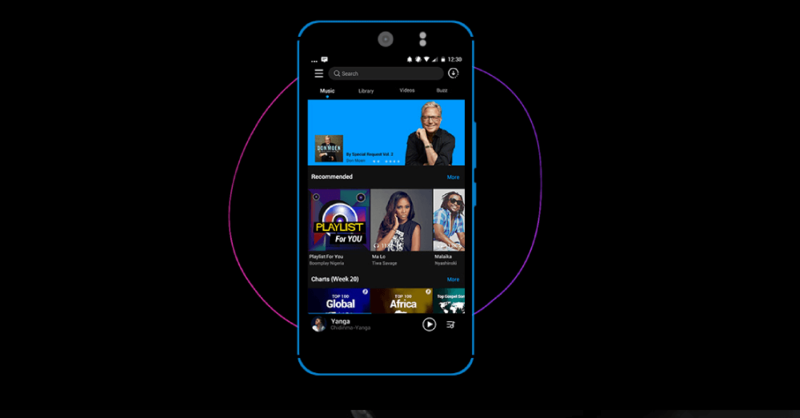 What makes Boomplay different from Spotify, Apple Music or YouTube Music in Africa is that it has understood its idiosyncrasy. The market is complicated for Western companies. People cannot afford to pay what is equivalent to 9,99$ a month for Premium service. Boomplay Premium access costs 1,5$/month, it is ad-free and it offers unlimited download of songs and videos. User can listen to international and regional artists, especially African indie, something that other streaming services do not offer. This entry was posted in Music Tech. Bookmark the permalink.